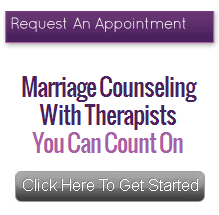 Peter Klein is a licensed clinical Psychologist and Marriage and Family Therapist in Menlo Park. His clients appreciate his clinical expertise and his careful attention to detail, since both contribute to their overall positive experience and results. His active style helps clients uncover underlying causes of their difficulties. He explains, “We look at patterns and behaviors that they, themselves, are unable to see. They start to understand more clearly what is going on and collaborate to improve the relationship.” In addition to his specialty with couples, he conducts long-term dynamic therapy with individuals. Dr. Klein has extensive experience providing psychotherapy for couples and individual adults, as well as training and supervising psychotherapists. He is a Consulting Associate Professor at Stanford University and a Clinical Supervisor for the San Mateo County Psychiatric Residency Program. He has been in private practice for over 20 years and affiliated with The Couples Institute since 1991.